Hi Doodlebug friends! 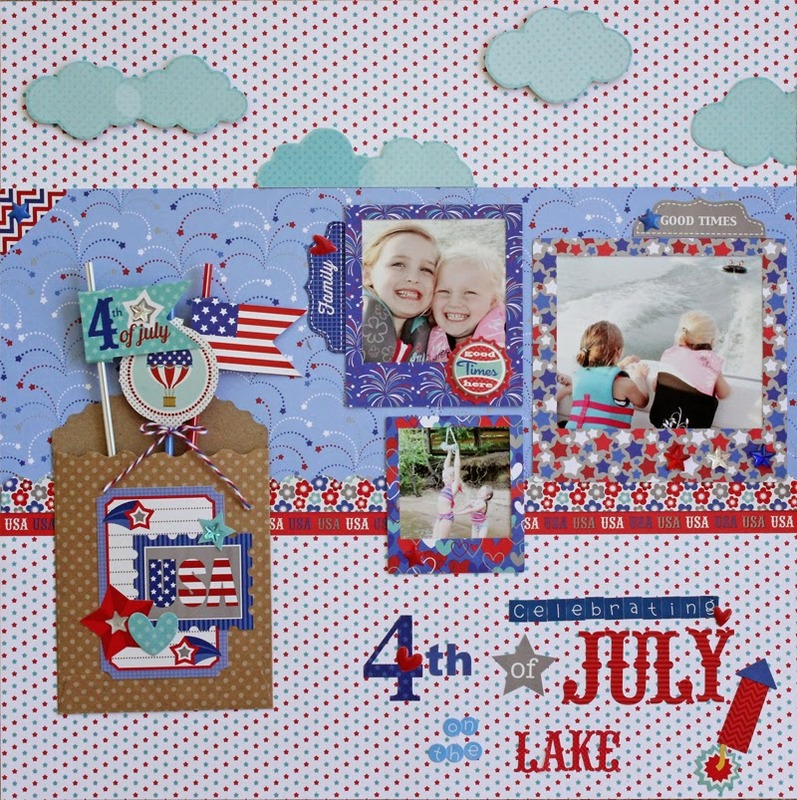 It's Wendy Sue here today, sharing a layout I created using the new "Patriotic Parade" collection. I was so excited to use that cute little airplane doodle-pop - and the mini star garland was just screaming to be added as a trail behind the plane! 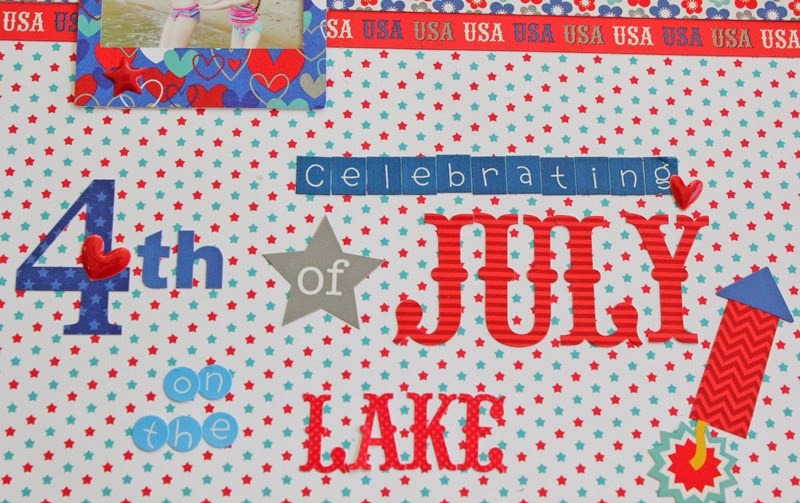 The stickers in this collection are just phenomenal - so perfect for any type of patriotic project. I love the dimensional doodle-pops...I think I used almost every single one on this layout. Of course you don't have to go crazy like I did - but it sure makes for a fun, dimensional page! 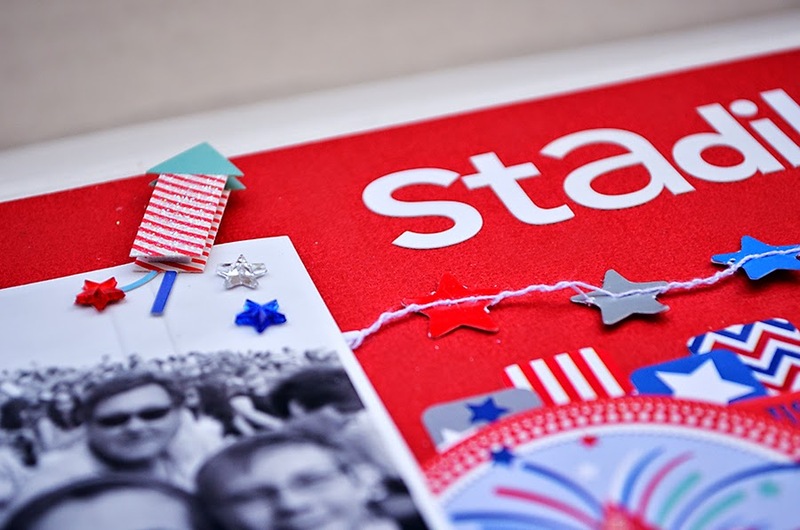 Oh, and don't forget the extra little embellishments - the mini pearls that I added to the polka-dot paper, the star jewels that I scattered throughout the page, and the awesome new star sprinkles...just the perfect size to add to the stickers and other elements. 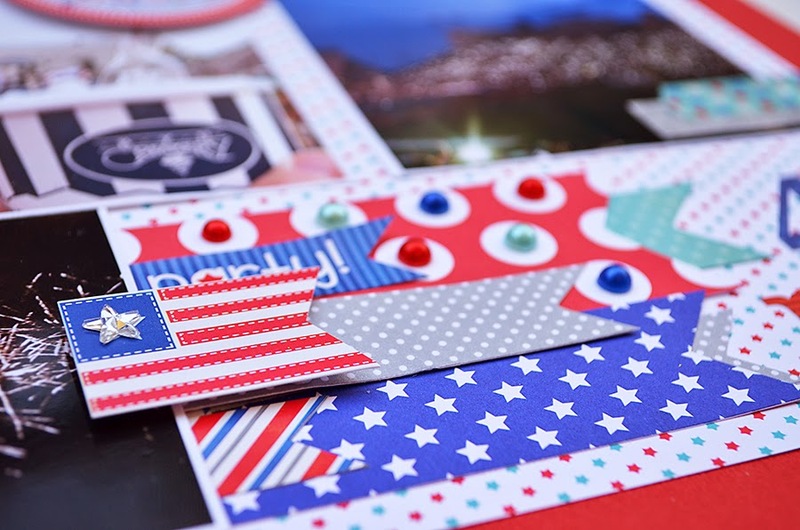 And no Doodlebug project is complete without a bit of doodle tape - I am loving the star spangled tape for this collection! Hello Doodlebug friends! 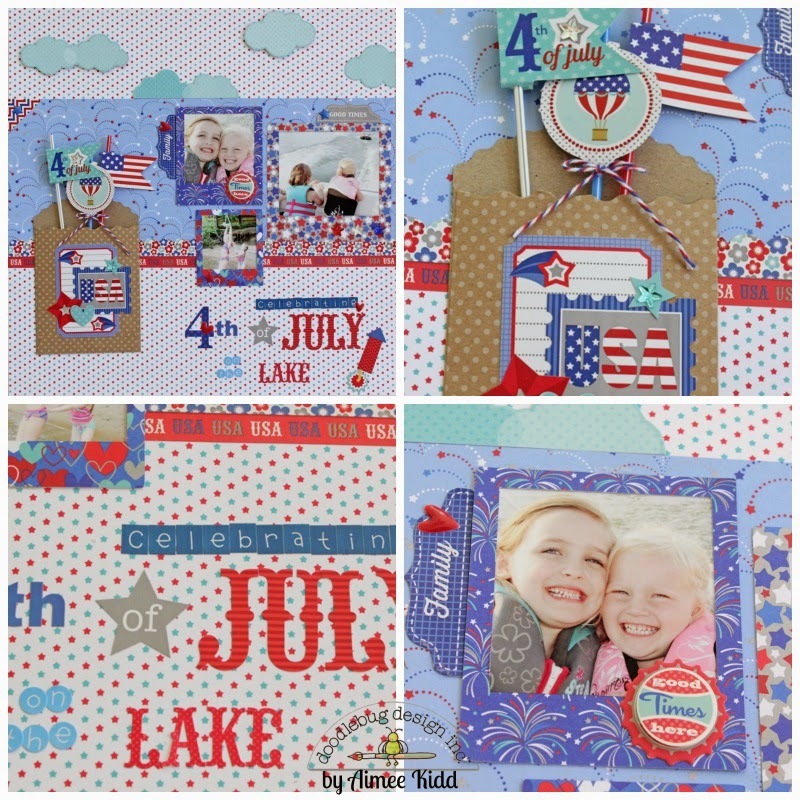 Aimee here with you today to share a layout documenting a fun 4th of July day out on the lake with the awesome new Patriotic Parade collection. 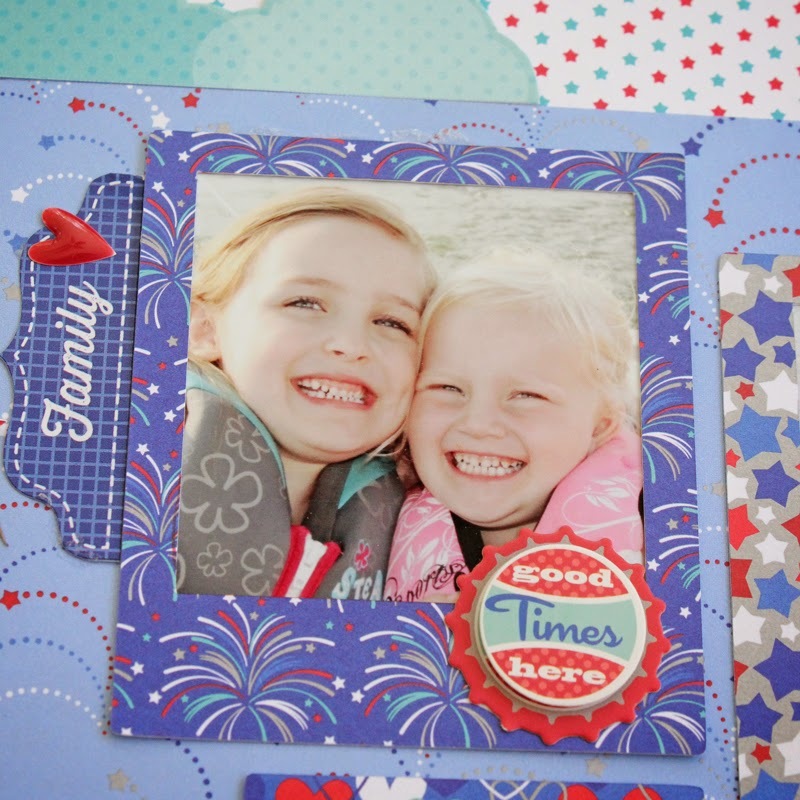 There are so many fun patterns and embellishments to this collection! And they all blend so beautifully! 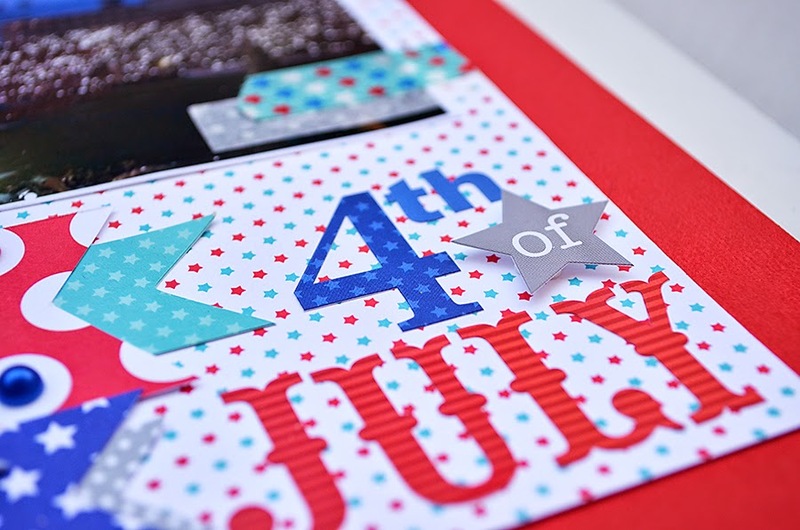 There are so many great elements to this collection for all those July 4th daytime activites. One of those great elements is a pattern paper of clouds. So I fussy cut some of the clouds to set the mood of my layout. Some are adhered straight to the layout and some I used pop dots for dimension. Doodlebug has the best alphas for creating unique titles! And how fun are these little treat bags? They are perfect for anything your heart desires. I decorated the front with layers of cardstock stickers and star sprinkles & jewels then stuck in three of the pixies. I love the smaller prints you get with the 6x6 paper pads! I chose 3 of the prints and ran it through my Silhouette to get these sweet little polaroid cuts to frame my pictures. Thanks for stopping by today! 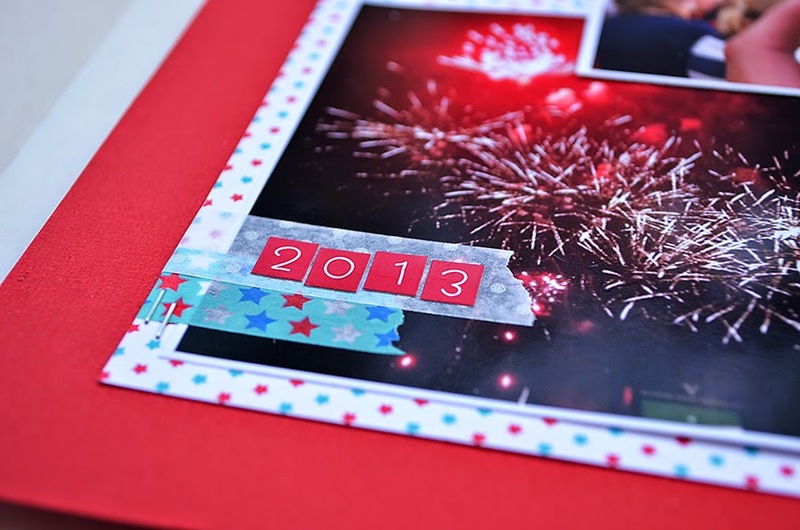 I hope that I've given you some ideas on how to get all those yummy little Doodlebug embellishments on your next layout! 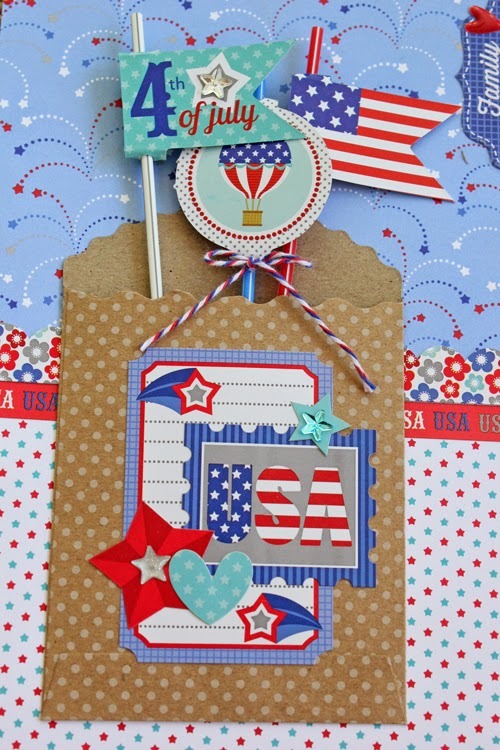 BOTH layouts are SO CHEERY and HAPPY - Patriotic Parade is such an AWESOME collection - LOVE it MORE and MORE every day!!! 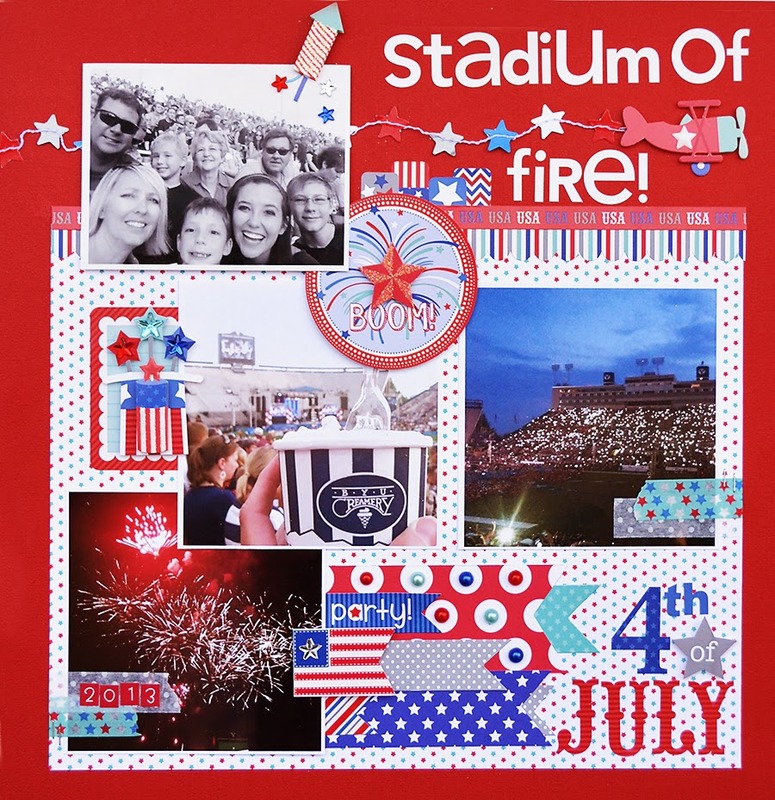 LOVE the FUN photos, designs and pretty layers in both pages - THANK YOU Wendy Sue and Aimee!!! Awesome! Love the pixies in the treat bag on the 2nd layout, cute idea!!! there is something about red/white/blue paper that always makes me perk up. The colors are bright and happy. Great layouts. You made good use of the papers. Omg!!! such a Nice layouts, Great pictures to go with this collection! pinned them all of course!!! 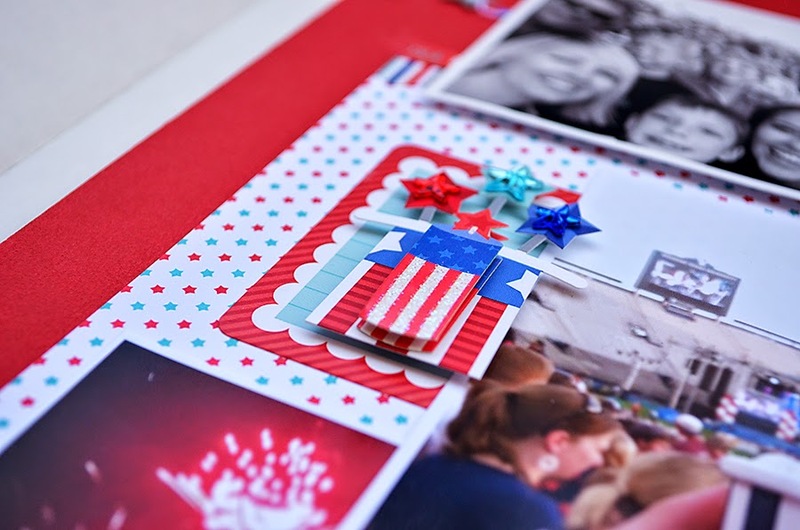 I pinned this close-up of Wendy Sue's layout - how cute is the mini star garland trailing behind the sweet little airplane doodle-pop!!! Wow! Such an awesome layout and those girls are precious!